Flatlands create dark emotional and crushingly heavy music. The band have already made waves in the underground scene, touring hard with their unique brand of post-metal via doom. Merging the stripped down, elemental feel Neurosis and their ilk evoke on record with the painful torturous listening that is Khanate Flatlands sound is nothing but their own. Their originality was paid tribute early in their career by having the legendary Super-Fi Records releasing their two demo tracks on one side of a 12" with fellow experimental doomsters Sunshine Republic. 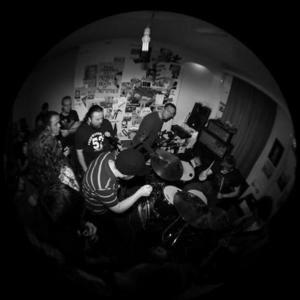 Recording their debut EP entitled 'Vermuyden' [released in 2006 on Sound Devastation Records] has been somewhat of a grim experience too - fitting some might say for the type of music Flatlands create. With drummer Fred fracturing his wrist only weeks before recording was planned the EP looked doomed to be pushed back. However, luckily doctors advised that drumming after a brief hiatus would be the best form of exercise and rehabilitation a wrist could have. Since their debut album 'Black Sluice' was released in 2009 bassist Si Baxter has left the band and has been replaced by Stu Hudson. With the new line up the quintet have self-released a self-titled EP in mid 2010. In late 2010 Flatlands announced they were splitting up.